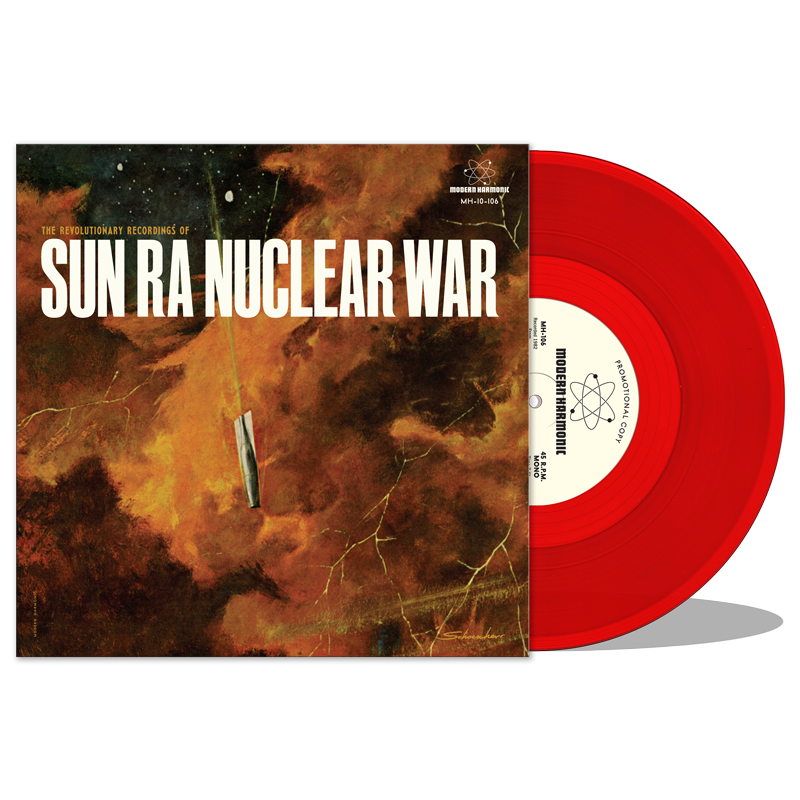 "Nuclear War," Sun Ra's groove-infested x-rated warning, was an early 80s underground hit when it appeared on a 12-inch (plus the Saturn album A Fireside Chat With Lucifer). Ra and crew expose the deathly horror with deadly serious call-and-response, leavened with funk and a pinch of humor for better digestion, eyes gleaming in a laid-back, lilting, cosmo-gangster-lean. "Outer Reach Intense Energy" and "Twilight" are originally unreleased works, sonically extending the radioactive theme. "Outer Reach" (1977) is a soundclash of explosion and fallout, planetary screams, whistling missiles, eternal agony, detonation, damnation. Dashed hopes and dreams blasted to the farthest nebulae. �Twilight," recorded at the Tip-Top Club in 1963, exhibits Sun Ra's xylophonic electric piano laced with clouds of mournful horns, teetering on madness, an impossible circus, bordering on redemption in the wilderness of the Sun's possible return. On red vinyl!! Also available: Sun Ra 10" Bundle! Also available: Sun Ra 10" + NRBQ 10" Bundle!